I found something intriguing while conducting John’s user flow. He would greatly benefit from online education given his circumstances as a working father in pursuit of additional professional development. 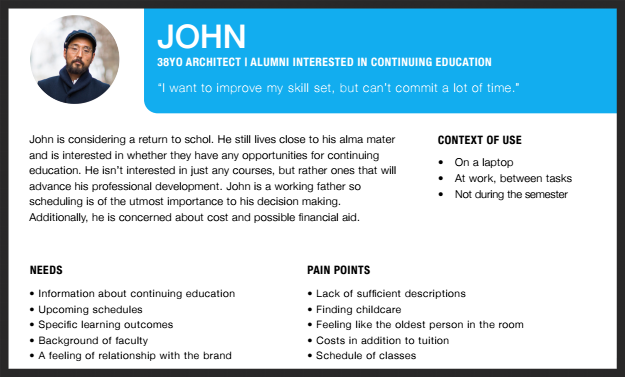 Using this information, I conducted a user flow for John to find online course information. 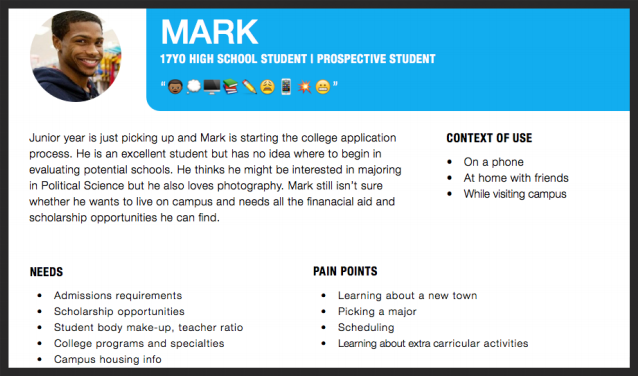 If he clicks through the “Continuing Education” option on the home page, it takes him 13 steps before he can find all the online education options afforded to him. Alternatively, if he knows from the onset he wants an online education, he only needs to take four steps. This indicates that there is ambiguity in the options provided to someone in John’s scenario. 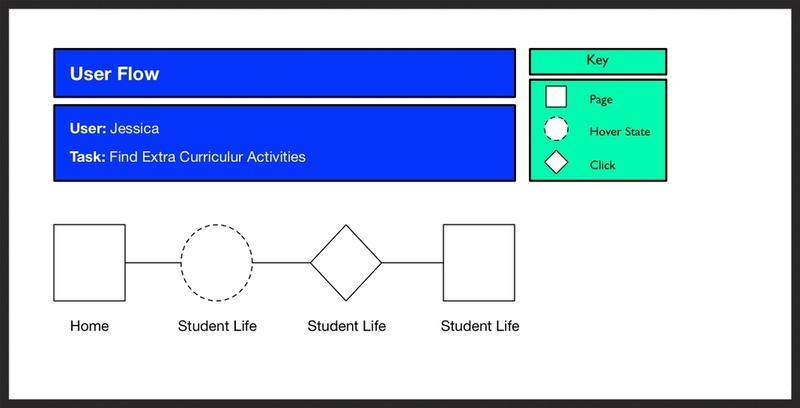 After understanding that ambiguity lived in the category choices on the home page, I wanted to test to the extent of it, so I created a Site Map of the current site. I was astounded to find that before the user clicked anywhere on the page, they were exposed to 137 separate links! That sounded absolutely ridiculous to me and gave me the impression that most of the information was either not being used or redundant. But, I didn’t want to base my ideas of consolidation on my reaction to the number of links on the site — I had to test whether users could quickly navigate the home page. So, I conducted user tests with the current site. 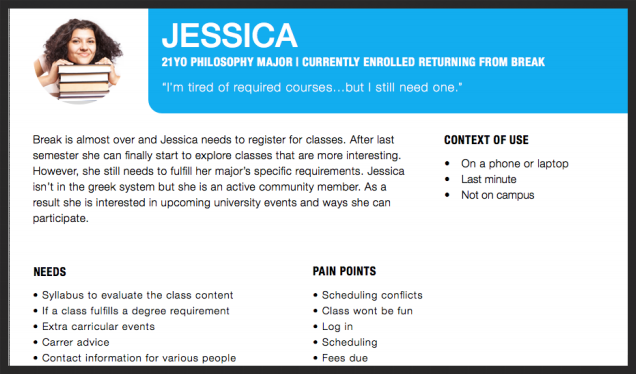 To better understand the strengths and weaknesses of the site organization, I tested three users — Will, Krista, and Gee. I used a method called card sorting to better understand users' intuitive response to the information on the web site. First I conducted a closed card sort with all of the sub-information in the navigation in a stack of cards and let four users place them under the current navigation categories. 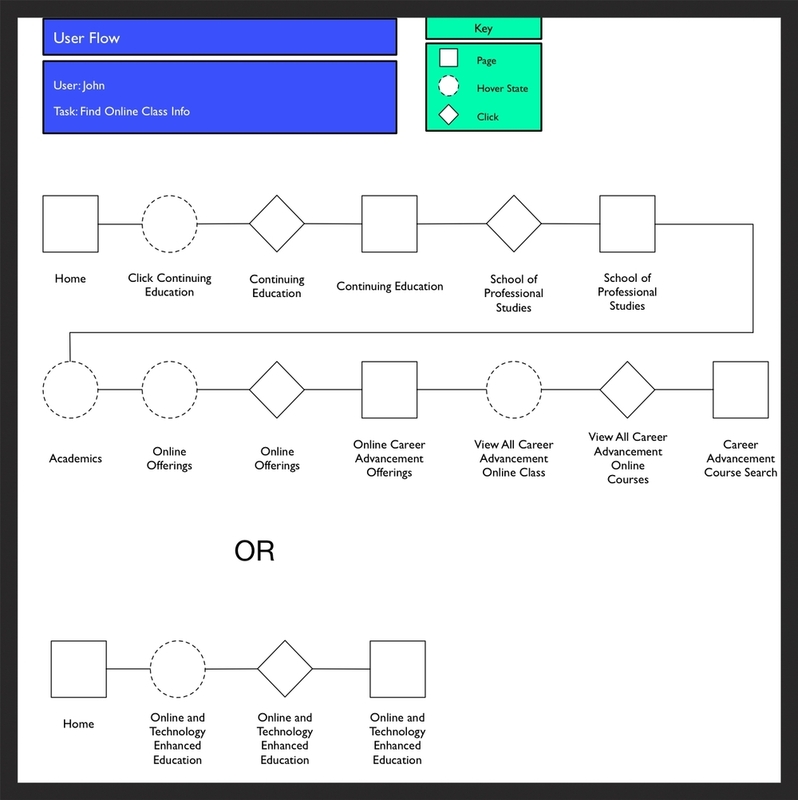 Users place ambiguous content into "University Life" or "About NYU"
Based on the findings from the open card sort, I narrowed the sub-navigation cards and let two users group them however they wanted and name the groupings through an open card sort. I went down to the NYU Welcome Center to view how the desk assistants there would answer people's questions since it's really the personification of the NYU web site. As students, they didn't care about things to do in NYC while applying, only cared about individual college they were applying to. The Amount Of Content On The Web Site Combined With The Ambiguous Category Names, Overwhelms Users And They Are Led Into The Most General Categories For Answers.